The world knows Madame Tussaud as a wax artist extraordinaire... but who was this woman who became one of the most famous sculptresses of all time? In these pages, her tumultuous and amazing story comes to life as only Michelle Moran can tell it. The year is 1788, and a revolution is about to begin. Smart and ambitious, Marie Tussaud has learned the secrets of wax sculpting by working alongside her uncle in their celebrated wax museum, the Salon de Cire. From her popular model of the American ambassador, Thomas Jefferson, to her tableau of the royal family at dinner, Marie's museum provides Parisians with the very latest news on fashion, gossip, and even politics. Her customers hail from every walk of life, yet her greatest dream is to attract the attention of Marie Antoinette and Louis XVI; their stamp of approval on her work could catapult her and her museum to the fame and riches she desires. After months of anticipation, Marie learns that the royal family is willing to come and see their likenesses. When they finally arrive, the king's sister is so impressed that she requests Marie's presence at Versailles as a royal tutor in wax sculpting. It is a request Marie knows she cannot refuse - even if it means time away from her beloved Salon and her increasingly dear friend, Henri Charles. As Marie gets to know her pupil, Princesse Élisabeth, she also becomes acquainted with the king and queen, who introduce her to the glamorous life at court. From lavish parties with more delicacies than she's ever seen to rooms filled with candles lit only once before being discarded, Marie steps into a world entirely different from her home on the Boulevard du Temple, where people are selling their teeth in order to put food on the table. Meanwhile, many resent the vast separation between rich and poor. In salons and cafés across Paris, people like Camille Desmoulins, Jean-Paul Marat, and Maximilien Robespierre are lashing out against the monarchy. Soon, there's whispered talk of revolution... Will Marie be able to hold on to both the love of her life and her friendship with the royal family as France approaches civil war? And more important, will she be able to fulfill the demands of powerful revolutionaries who ask that she make the death masks of beheaded aristocrats, some of whom she knows? Although it is mid-December and everyone with sense is huddled near a fire, more than two dozen women are pressed together in Rose Bertin's shop, Le Grand Mogol. They are heating themselves by the handsome bronze lamps, but I do not go inside. These are women of powdered poufs and ermine cloaks, whereas I am a woman of ribbons and wool. So I wait on the street while they shop in the warmth of the queen's favorite store. I watch from outside as a girl picks out a showy pink hat. It's too pale for her skin, but her mother nods and Rose Bertin claps her hands eagerly. She will not be so eager when she notices me. I have come here every month for a year with the same request. But this time I am certain Rose will agree, for I am prepared to offer her something that only princes and murderers possess. I don't know why I didn't think of it before. How do you think Marie's life differed from most other women of her time? Where would you say she placed her emphasis? When Marie visited the Marquis de Sade in the Bastille, she was surprised by the conditions she found there. Were you surprised as well? If so, in what way did those conditions surpass or fall short of your expectations? What was the comparison Marie made between the Bastille and Versailles? How would you describe the organization, operations, scent and reality of daily life in each location? Who was the Duc D'Orleans and what type of role would you say he played regarding the French revolution? What role would you say he played in the common people's belief regarding the king? The author's attention to detail is pitch-perfect as she describes everything from the sumptuousness of the palaces to the squalor of Laforce, the prison in which Grosholtz was held. I was particularly appreciative of her attention to the changing clothing styles during this time period, as they were important to the political climate (clothing was used to demonstrate loyalty to one faction or another), and it also helped me more fully visualize the scenes being described. The inclusion of snippets of historical trivia heightened my interest in the story as well. (Reviewed by Kim Kovacs). This is an unusually moving portrayal of families in distress, both common and noble. Marie Antoinette in particular becomes a surprisingly dimensional figure rather than the fashionplate, spendthrift caricature depicted in the pamphlets of her times. Starred Review. Certain to be a breakout book for Moran, this superbly written and plotted work is a welcome addition to historical fiction collections. The shocking actions and behavior required of Tussaud to survive the revolution make the novel a true page-turner and a perfect reading group choice. Editors' Choice. 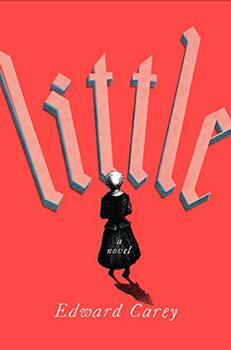 Moran's latest is an excellent and entertaining novel steeped in the zeitgeist of the period. Highly recommended. Well-plotted... Mannered and elegant; reminiscent in many ways of novels of days long past, particularly the Baroness Orczy's swifter-paced Scarlet Pimpernel. Madame Tussaud... is brought to life in this well-crafted, fast-paced novel by the talented Michelle Moran... Michelle Moran has done what few novelists have been successfully able to accomplish, and that is to depict the full range of the swift political changes that occurred in the few years from the fall of the Bastille to the beheading of the king. Madame Tussaud promises to be a breakout book for this talented writer - a novel that is both a gripping fictionalized biography of an intriguing woman and a well-paced, illuminating chronicle of the French Revolution. The well-known tourist attraction and wax museum, Madame Tussauds, had its start in the streets of Paris just before the French Revolution. Dr. Philippe Curtius, Madame Tussaud's mentor, opened his first cabinet de cire (wax exhibition) in Paris in 1770. It proved so popular that he was forced to move to larger accommodations twice and eventually opened a second location in 1782. 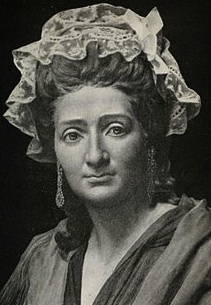 When Curtius died in 1794, he left the business to his protégé, Anna Maria Grosholtz, who later became Madame Tussaud when she married François Tussaud in 1795. Inspired by eighteenth-century household books of recipes and set at the time of the invention of the first restaurants, An Appetite for Violets is a literary feast for lovers of historical fiction.